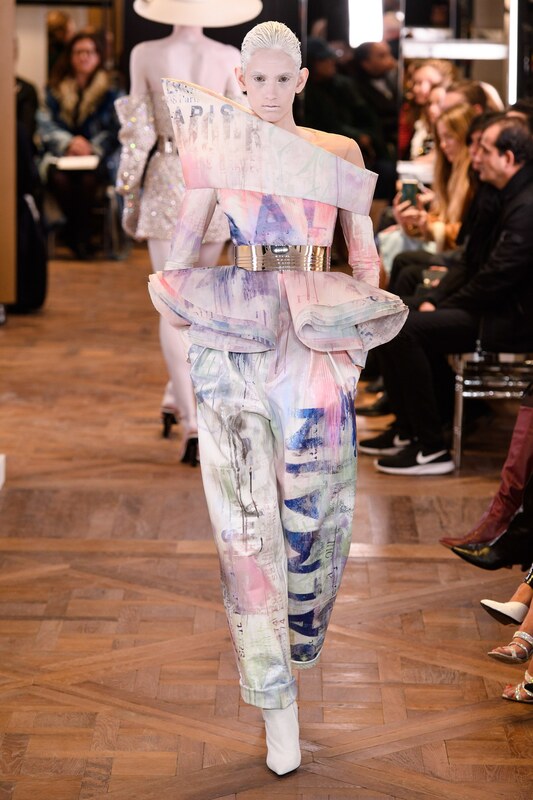 Balmain’s creative director, Olivier Rousteing unveiled the Balmain Spring 2019 Couture vision for the house of Balmain last Wednesday night at Paris Fashion Week came to a close. 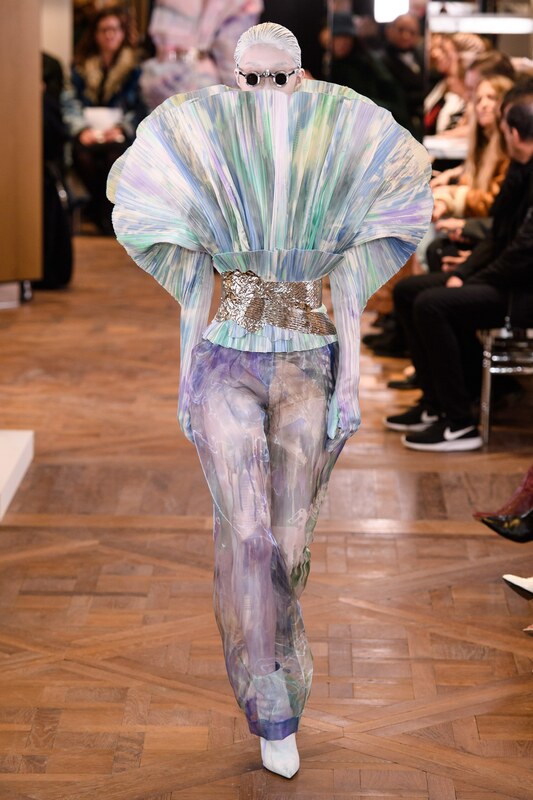 The show, which was held in the mirrored spaces of the soon-to-open Balmain boutique on rue Saint-Honoré definitely made dreams come true. 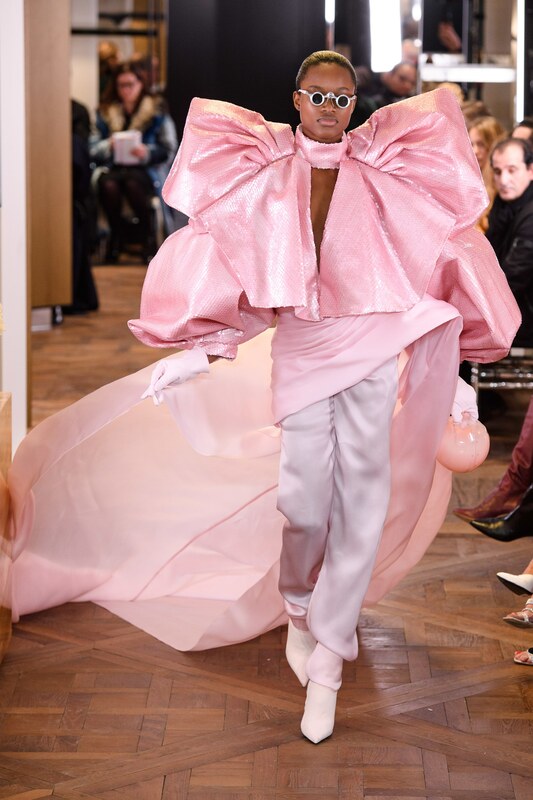 Being the brand’s first couture collection in 16 years, we did not expect any less especially after we saw the Pre-Fall 2019 Collection. 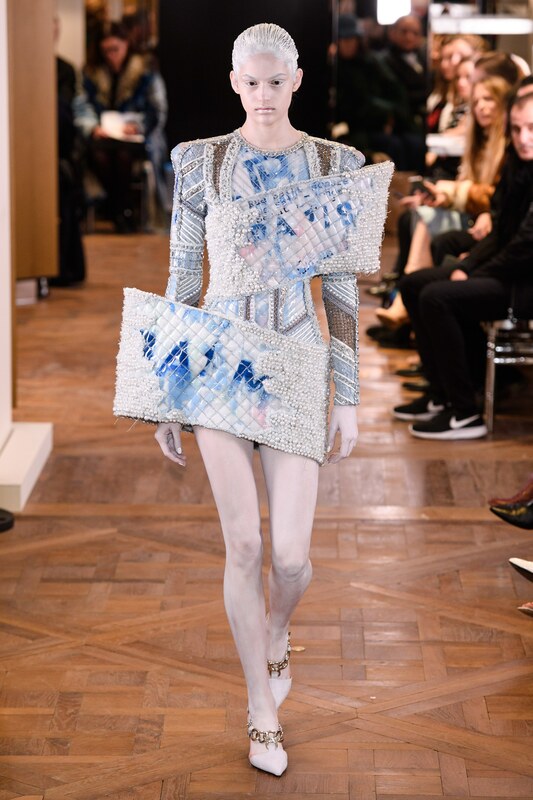 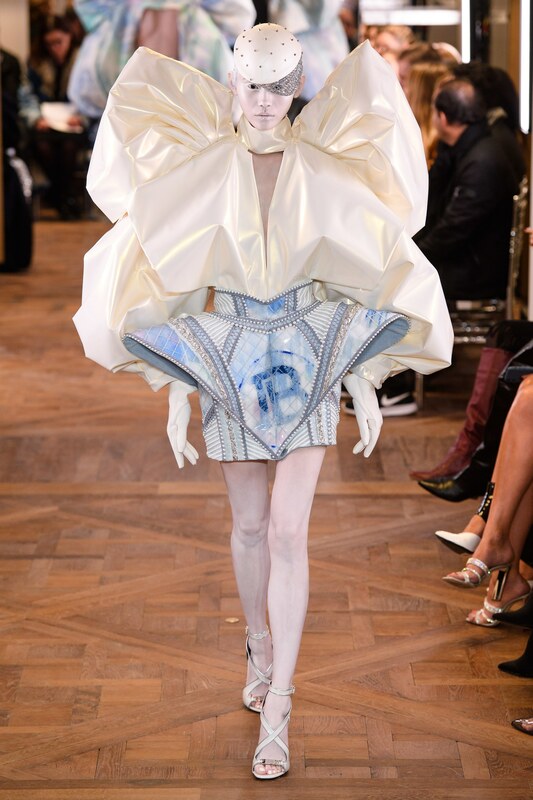 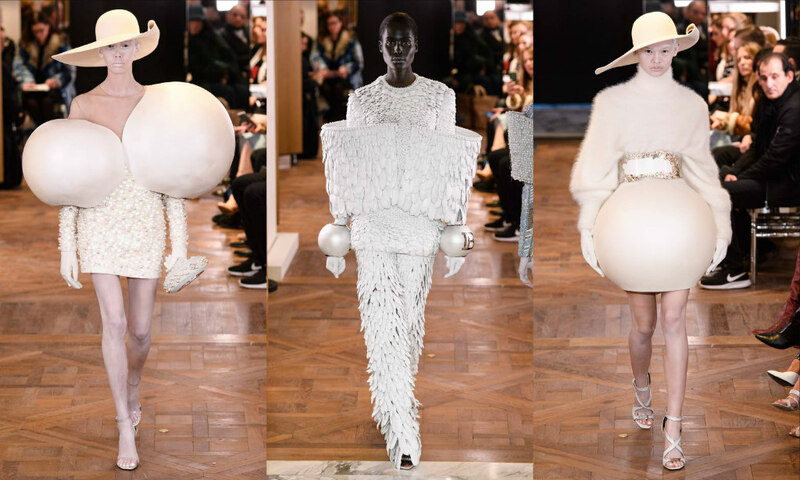 Models in alien-like white makeup and hair paint, dripping in pearls, strutted the runway in a collection that paid homage to Paris and house founder Pierre Balmain. 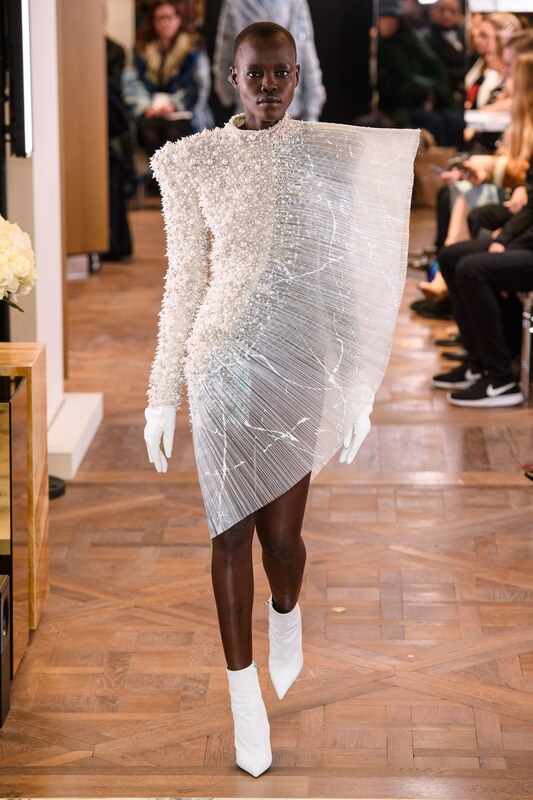 The Balmain Spring 2019 couture collection showcased outfits that were over the top. 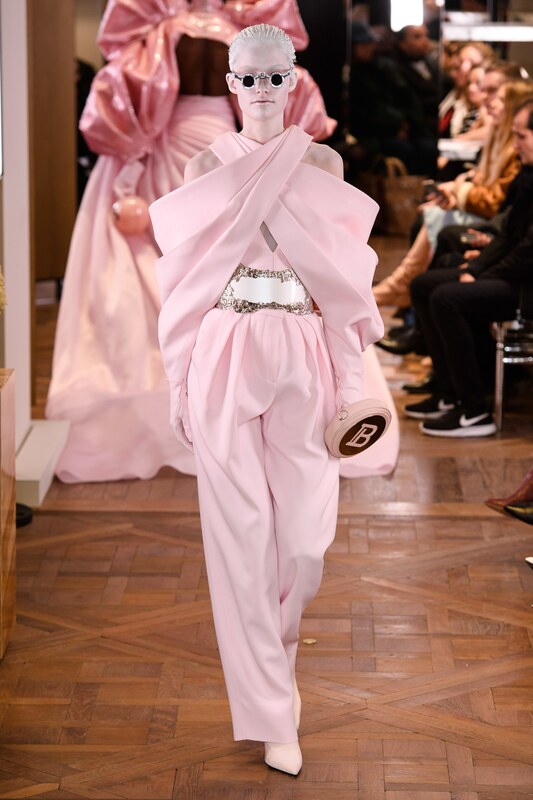 The collection which took an architectural direction featured bulbous skirts, bodices and cuffs, as well as round ball-shaped bags emblazoned with the house’s new “B” logo. 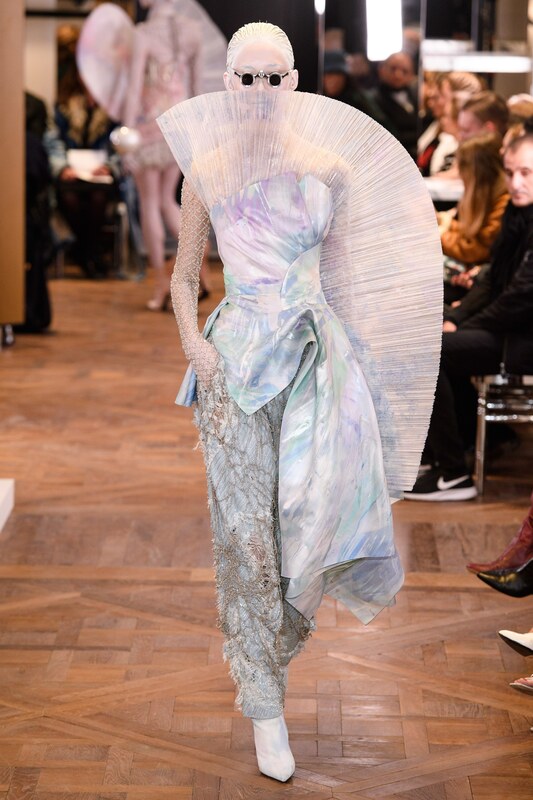 Exaggerated aesthetics played out across the collection – from pleated tulle and big bows to asymmetric drapes and cuts. 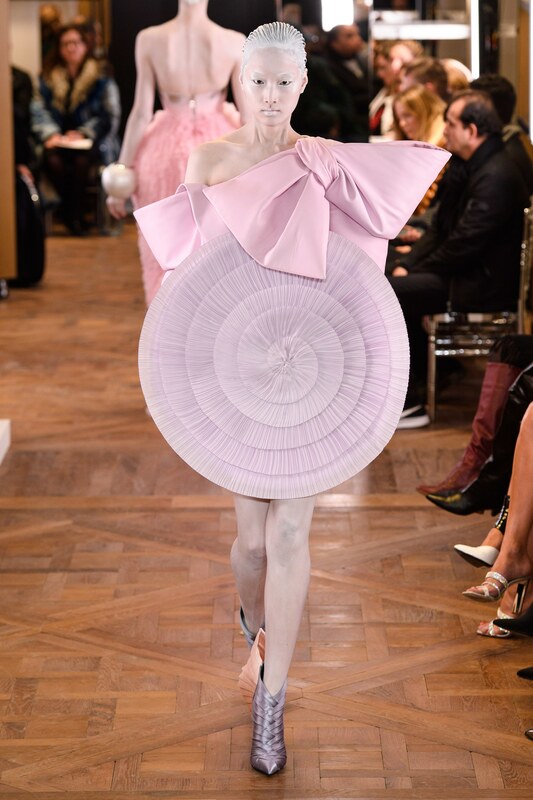 The colour palette did not stray far from soft cotton candy shades of blue, pink and lavender. 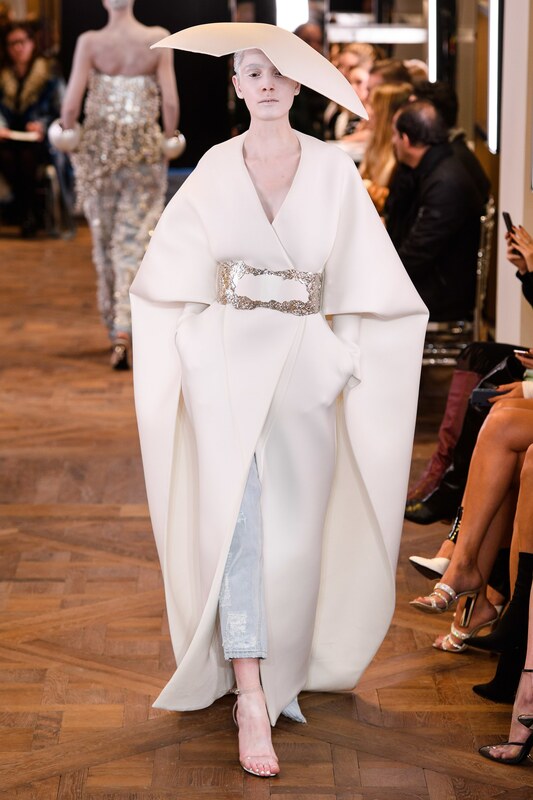 These were cut with high-shine silver accents, particularly in the form of thick waist belts, layers of chain and beading. 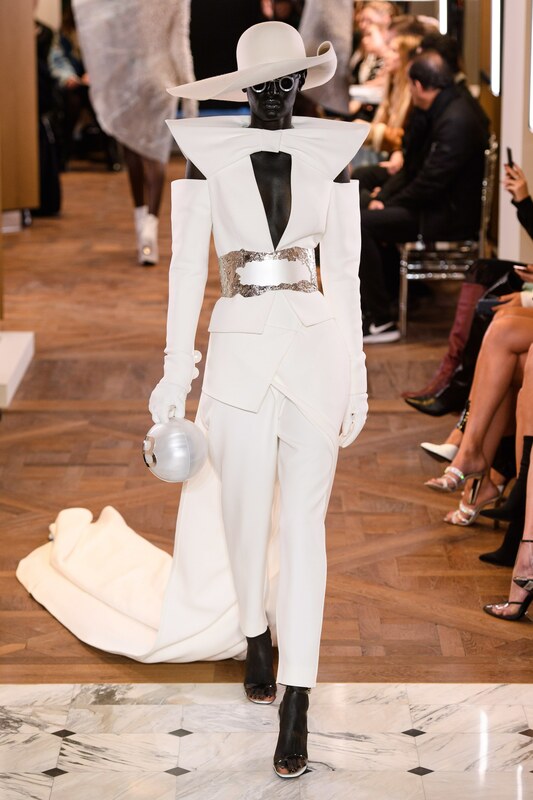 The Balmain experience, complete with Olivier’s signature luxe aesthetic, was turned up several notches, no doubt.